Well, it's a sunny 75% in California and I just got back from walking Harley. He's decked out in bells and jingled all the way on our walk. Since snow is a rare occurrence here I wanted some holiday inspiration. Falling Snow from Matt S on Vimeo. Wishing everyone a wonderful holiday! 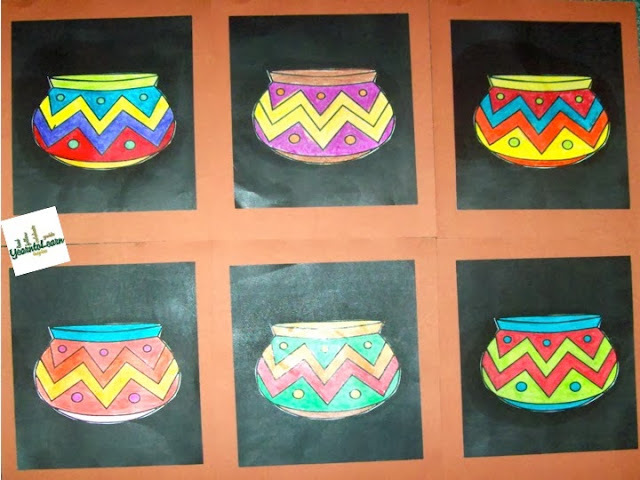 As a culmination to learning about California Indians and their customs my students loved creating these colorful baskets. This online resource is great for researching about the various basketry designs and uses. Boy my Thanksgiving this year has me feeling like I'm running around with my head cut off. To give some background, my family dinner is postponed this year until Sunday since my mom and dad are out of town. And since they've always cooked the turkey no one else wanted to take on that job. My ONLY job today was to take the turkey out of MY freezer and drive it over to their house to thaw out in their fridge for the next few days. Sounds simple, but not really. Yesterday my automatic garage door was acting up and not shutting properly, so I put it into manual mode. So I got up this morning, put the frozen turkey in my car, manually lifted up the door, pulled my car out and then the trouble started. I got out of the car to pull the door back down and my middle finger got caught and pinched in the now closed garage door. I was literally stuck to the garage door. I started hollering for help like crazy. Luckily some volunteer workers for the annual Turkey Trot heard my ruckus and I told them to call 911. After what seemed like forever a police officer saved the day and pulled up the garage door and I was released. Now I'm nursing a big, fat bruised finger and I REFUSE to park my car back in the garage until I can get someone to figure out how to get my garage door to work properly. Said car is sitting in my driveway and I'm icing my finger. Hope everybody else's Turkey Day was a little less hectic. If you haven't already planned your after turkey shopping keep in mind that TPT's Cyber Sale is Monday Dec. 2nd and 3rd. My store will be 20% off. Use the code CYBER at checkout for and additional 10% off. 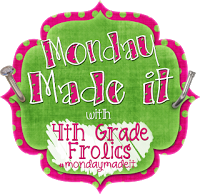 I'm joining Second Grade Shenaningans Linky to reshare a favorite December lesson. 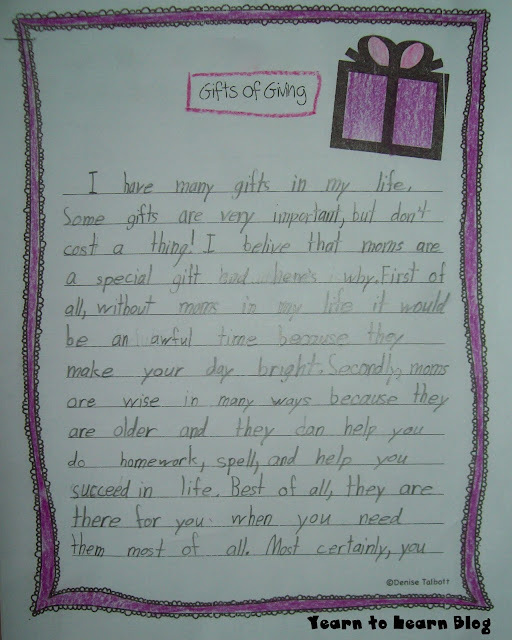 My students completed our Gifts of Giving Writing this week. 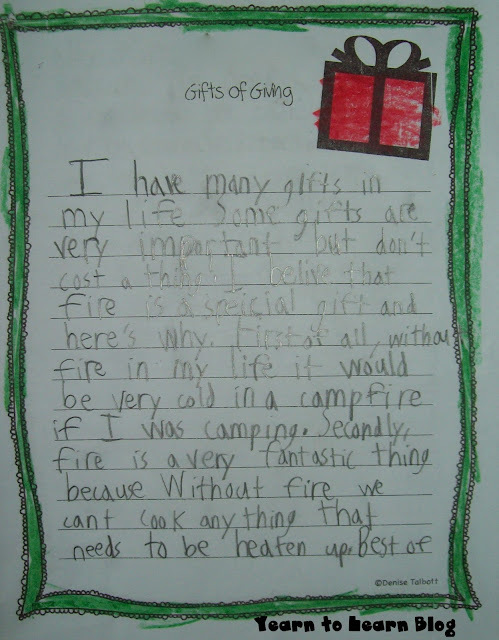 Their ideas were cute and thoughtful. "First of all, without moms in my life it would be an awful time because they make your day bright." so we can celebrate birthdays." My class just finished an in depth author study of Patricia Polacco. 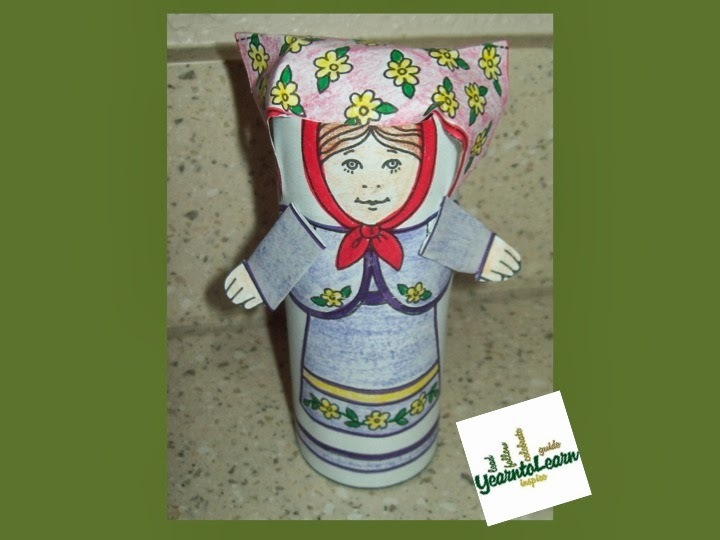 We learned how her family immigrated to the U.S. from Russia. I read the book Coming to America to teach more about the immigration process. 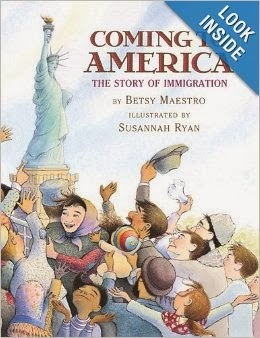 Then we explored Scholastic's site on immigrants which includes video clips of immigrant children today as well as background on Ellis Island. Finally, we connected Patricia Polacco's family history of being Russian immigrants to the novel Molly's Pilgrim. 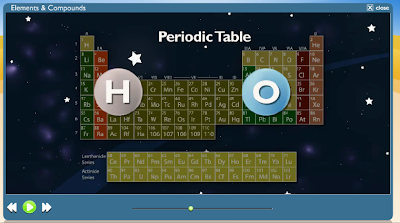 A video is available for the story too that we compared the book to. To wrap up our pilgrim and immigration focus students made their own Molly's Pilgrim doll. 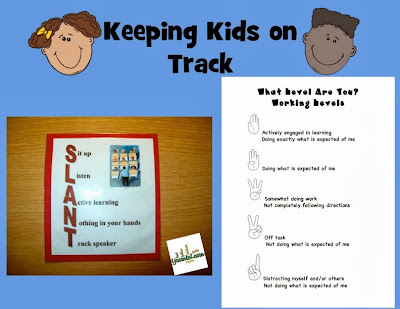 I posted over at All Things Upper Elementary today about ways help students stay focused and on track. I love teaching about Veterans Day. 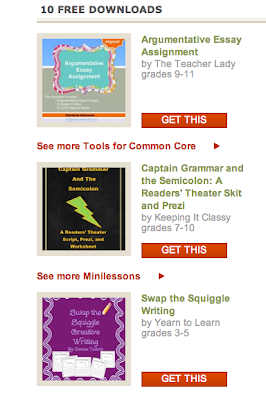 Each year I add more to my teaching resources. 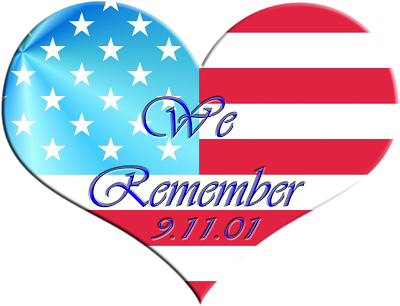 Don't miss ALL previous posts on Veterans Day too! 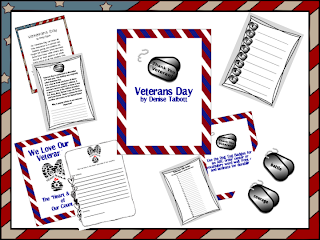 If interested, I have this Veterans Day pack in my store. My Harley is 9 years old today so he got some special treats. Also did you know that Chick-Fil-A hands out dog treats? I had Harley in the back seat the other day when I went through Chick-Fil-A drive thru. The cashier saw him and offered me a biscuit. Since Chick-Fil-A is closed on Sundays, I couldn't treat Harley to that on his birthday, but maybe I'll take him tomorrow. 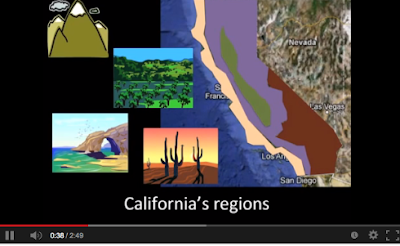 What a perfect way to learn about the central valley, mountains, coast and desert regions of the Golden State. Even Harley loves cruisin' California! A good car ride makes a dog's life. 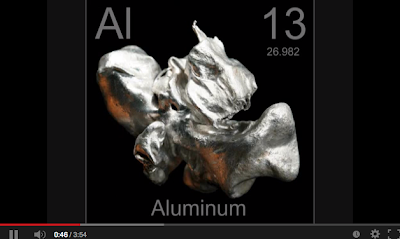 I'm soon to be wrapping up a science unit on matter. 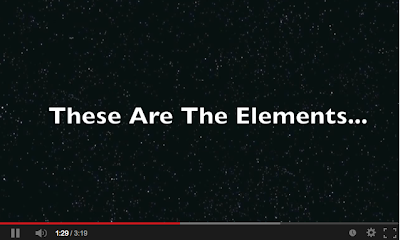 One of the final lessons on elements, compounds and mixtures is more difficult to grasp. 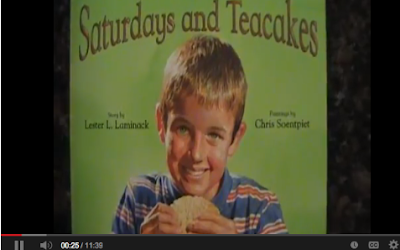 A great follow up with this story is to share about the history and background of teacakes. 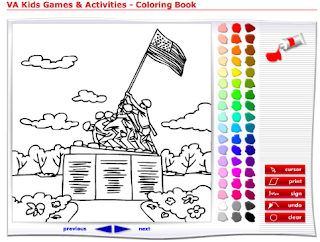 Scholastic has this brief video I plan to use to teach about September 11th. Just sharing how I'm recognizing my students' birthdays in a quick but fun way this year. The past few years my school put into place a No Food treats school birthday policy, which I do like because one year, on the same day, I had 2 sets of cupcakes dropped off unannounced and a whole sheet cake to slice up and serve from 3 separate families. YIKES, talk about sugar overload and interruption of instructional time. 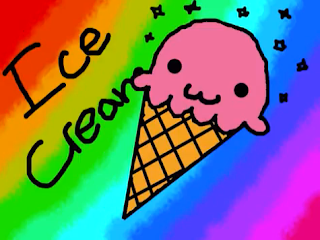 My solution to still giving a bit of attention to birthdays is using this Ice Cream and Cake dance song on each students' birthday. It gets the kids' attention and celebrates the birthday girl/boy in a fun way. I print and label this free birthday calendar graph from Scholastic to keep track of every birthday so we can celebrate it Ice Cream and Cake style. Now, I'm off to call my mom because it is her birthday today. 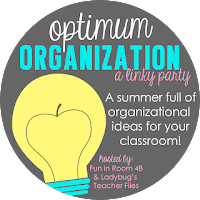 I hope most of my blog readers already subscribe to TPT's weekly Sunday newsletter which is packed full of freebies, resources and teacher tips. Just enter your email and every Sunday you'll have tons of wonderful resources at your fingertips. With my class this year I really need to incorporate quick brain breaks. I have several students who have sensory input needs and getting up and moving is a MUST. This PB & J No Crust song! is sure a hit! 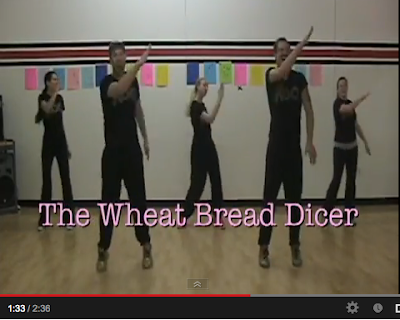 Even if you do like crust on your PB & J you'll still have this song bobbing through your head! Harley provided some fun entertainment for me this weekend. He was spooked by a deflated balloon floating waywardly in my planters. He was on alert, barking and not quite sure of the mystery mylar flower balloon. 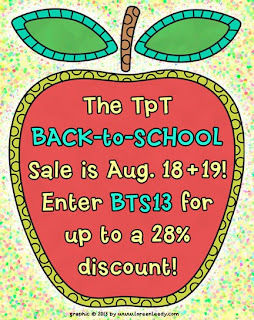 Now it's time to shop the TPT sale! It's the day before the first day of school for me and I've got a running list of a million things to do. I'm also thinking ahead for later when conferences with parents will occur. 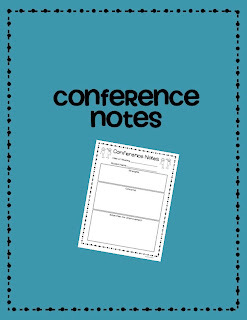 I made this handy reference sheet to document meeting discussions any time you might need to conference about a student. 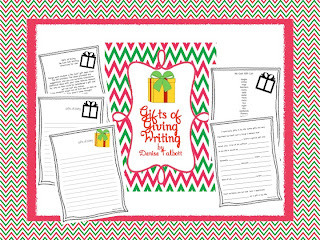 Grab this freebie in my store. I'm going to try my hand with more interactive notebooking this coming school year. 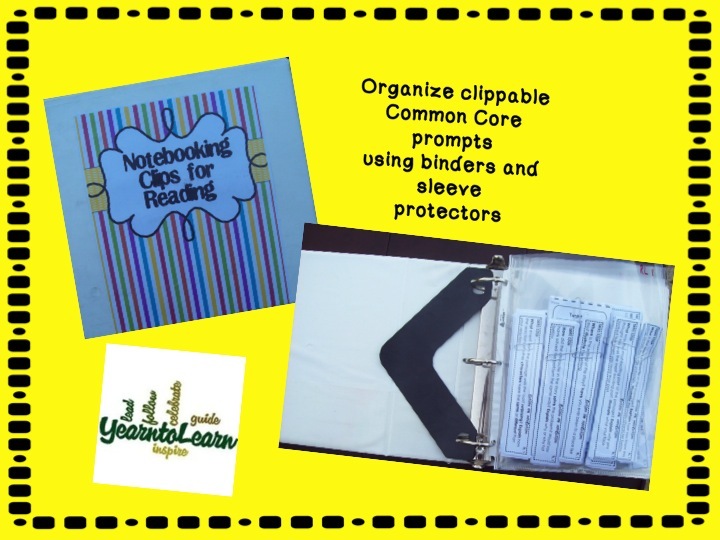 I figured out this handy way to organize the many Common Core clip prompts I plan to utilize. I cut apart each standard prompt and paper clipped them together as a set. Then, I labeled each corner of a sleeve protector with a Sharpie like this: RL 1, RL 2, RL 3 and so on. All the standard prompts are then put in the matching sleeve. I figured this system would help save me time. I'll simply pass them out with an appropriate lesson and have students glue them into their response notebooks. I've also been busy purging and shredding old bills and records in my home office. Final product is a trash can full of shredded confetti. I get to enjoy my yard, work and all, during the summer. My backyard is a 1/2 acre. Over spring break I cut down some palms that were breaking my planters. I replaced them with a Crape Myrtle tree which is now blooming. Look at those pretty watermelon blooms. I'm still battling the asparagus fern sprouts that keep popping up which I also removed from the planter. I'm avoiding the need to clean up the dead blooms of my Bird of Paradise. I'll wait to do that on a cooler day. Wild rabbits love my backyard too. I came back from walking Harley yesterday and saw these two eating steps away from my patio. And yuck, Harley loves to eat the rabbit poop all over the lawn when I don't watch him. 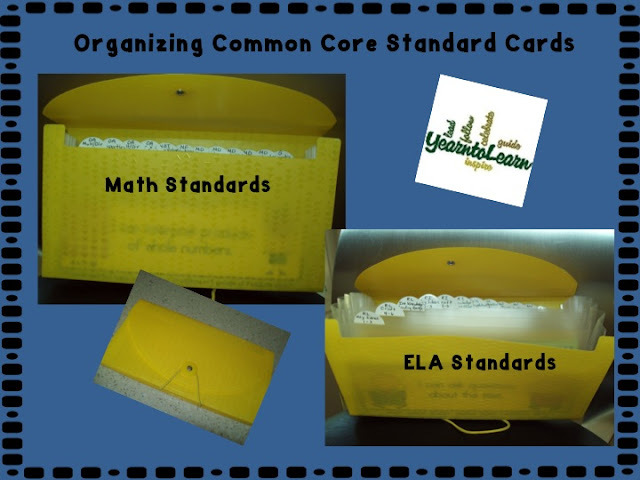 A couple of weeks ago I shared my Common Core Focus Wall. To organize all the standards cards I am using this accordion file organizer from the Target Dollar Spot. On each tab I've labeled the standard and strand or domain it fits in. This will make for easy switch out of cards on my focus wall. 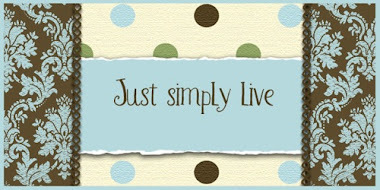 It's July 1st, have you moved over to Blog Lovin yet? My giveaway ends today for it. I'm also joining some TPT sale celebrations. My store items will be on sale through July 4th. 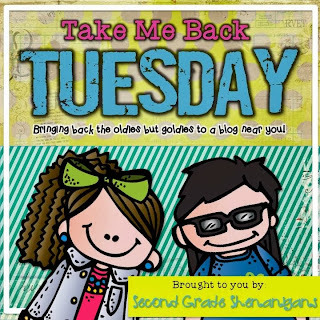 I'm joining First Grade Parade's Linky and revisiting my very first blog post for Throwback Thursday. 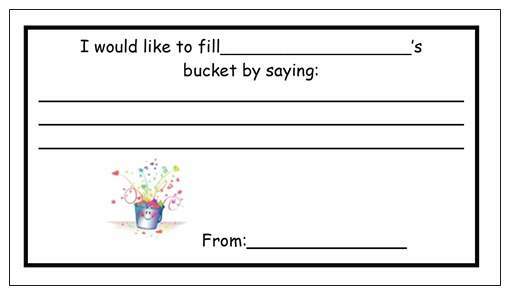 Hope you find some new ideas for using Bucket Filling in your classroom. For the past several years I've used the popular Bucket Filler books by Carol McCloud in my classroom. If you've not taken a peek at this series it is a MUST do. At the start of every school year I begin the bucket filler program. 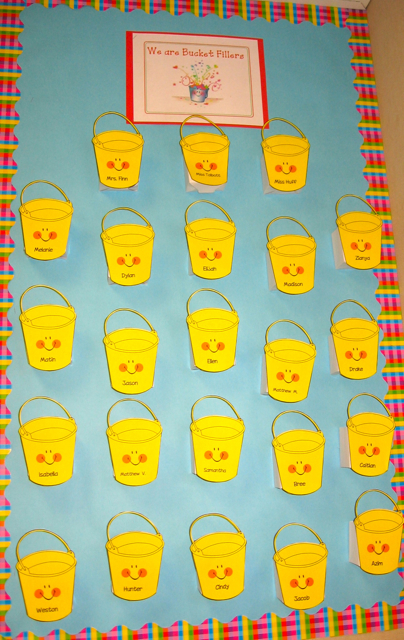 I have this bulletin board display of personalized buckets for classmates to add positive bucket filler thoughts. Here's my Bucket Filler Bulletin Board. 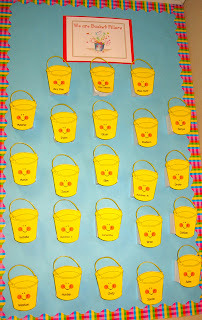 I personalized each bucket with student's names and taped them to party favor treat boxes. 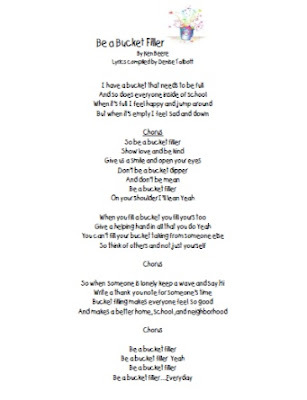 In addition, I found an adorable Bucket Filler song online written by Ken Beere. Be sure to grab a copy of the song lyrics I typed up. Be sure to view the video skits done by Fairmont Elementary School too. 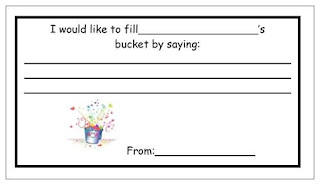 The videos are a GREAT way to get Bucket Fillers off to a great start in your classroom!